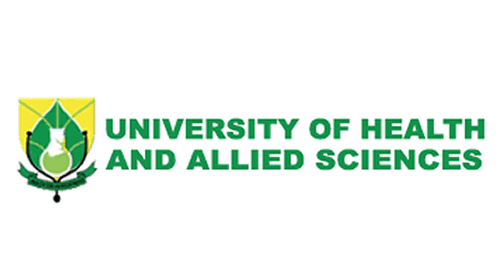 Construction work is expected to resume on the first phase of the University of Health and Allied Sciences (UHAS) Fodome campus project in the Hohoe Municipality of the Volta region. Work on the project stalled at the University’s School of Public Health permanent site in Fodome in 2014 after the first contract was abrogated. At a ceremony to handover the project to new contractors, Professor Margaret Kweku, Acting Dean, School of Public Health, UHAS, told the Ghana News Agency (GNA) that the project was four years behind schedule and affecting quality teaching and learning. She said, the University’s temporary facility at the Hohoe Municipal Hospital was not able to adequately accommodate the over 800 students and faculty, compelling them to move some sandwich students to the Worawora Hospital in the Biakoye District. Prof. Kweku urged the new contractors, Build-Us Construction Limited, to endeavour to complete the 18 months project before or on schedule. Mr Kofi Anderson, Managing Director of the construction firm assured that work would be done on schedule, saying, the substructure of his work area was currently 99 per cent done. Mr Jerry Agala, Community Leader, Fodome, appealed to the contractors to engage the youth of the community to grow the local economy. He said members of the community were ready to accommodate some key staff of the company in their homes to speed up the progress of work. Mr Agala said the project was opening up the area and pledged the community’s commitment to ensuring that the site was well secured against theft. The 916-acre land donated by the chiefs and people of Fodome to the University will house sporting facilities, recreational centres, banks, and religious facilities among others for the University. 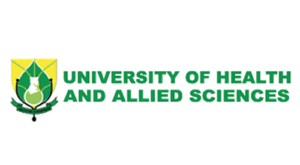 The UHAS School of Public Health began operations in 2013 with a student population of 16 at the Hohoe Municipal Hospital Onchocerciasis Research Centre.